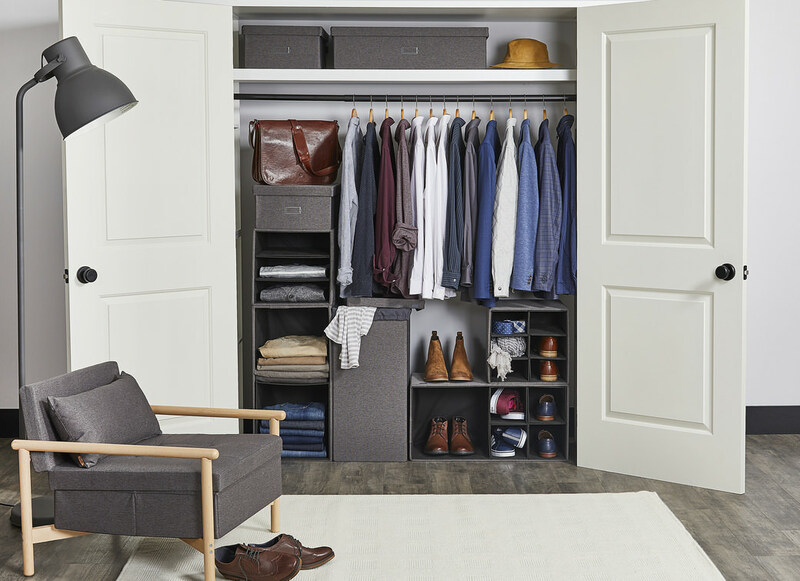 Stackable and modular, Stax is a quick-assemble closet storage system that allows for full customization and limitless configuration. Designed to mix and match with five main storage components and three Divider Packs. Stax comes in two contemporary neutral colours. Stax Hamper is ideal for storing your laundry out of sight. 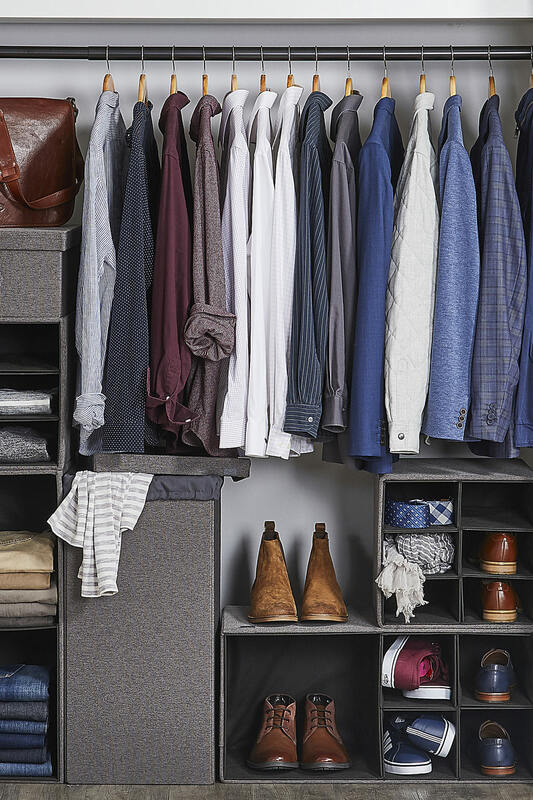 With a bi-fold lid providing easy access, and a removable and washable cotton liner, the Stax Hamper is perfect for any closet. Stax Large Storage is ideal for stacking vertically or horizontally, and comes with a half divider. For further customization, pair with the Stax Divider Packs to create your perfect storage. Stax Small Storage is ideal for stacking and organizing, and comes with a half divider. 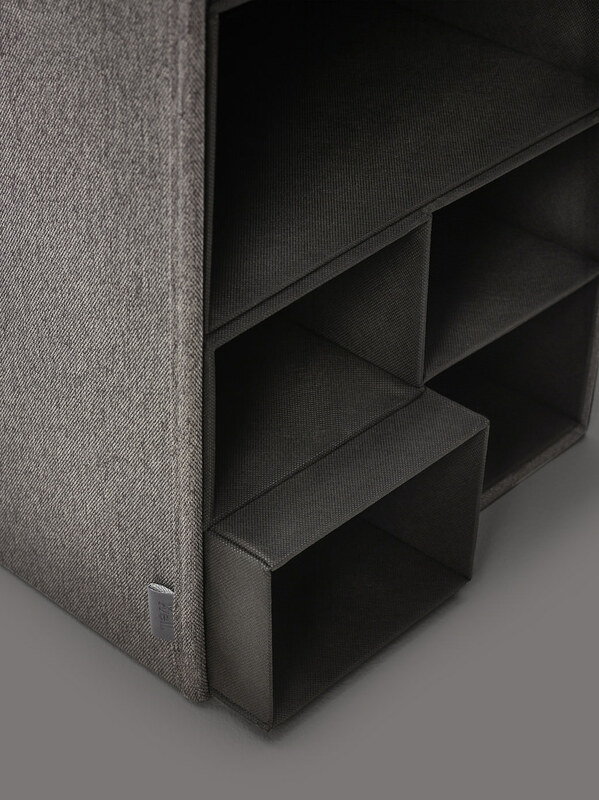 For further customization, pair with the Stax Divider Packs to create your perfect storage. 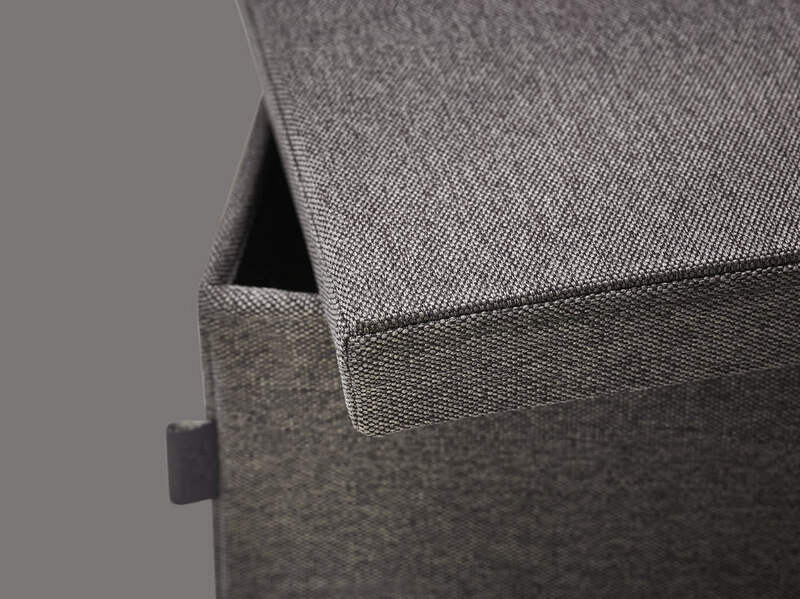 Stax Large Box with Lid is ideal for extra hidden storage of larger items. Can be used on a shelf or stacked for space-saving efficiency. Featuring a front label holder for easy identification. Stax Small Box with Lid is ideal for extra hidden storage of smaller items. Can be used on a shelf or stacked for space-saving efficiency. Featuring a front label holder for easy identification. Stax Small Divider Packs pair with the Stax Small Storage and Large Storage to create six extra storage compartments. 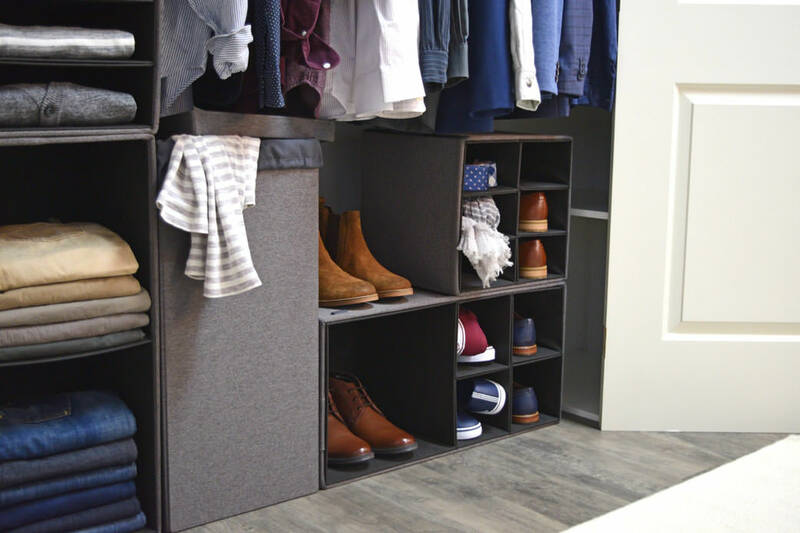 Ideal for organizing smaller clothing items and shoes. Stax Medium Divider Packs pair with the Stax Small Storage and Large Storage to create four extra storage compartments. 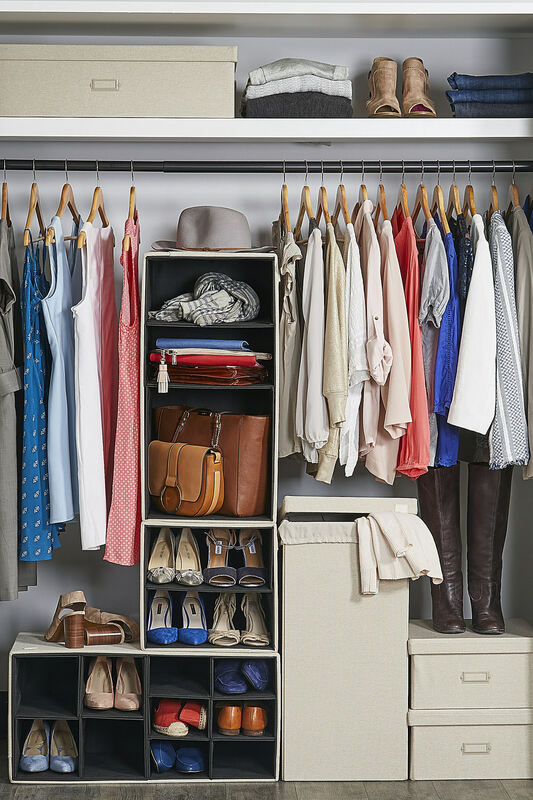 Ideal for organizing a variety of clothing items and shoes. Stax Large Divider Packs pair with the Stax Small Storage and Large Storage to create three extra storage compartments. 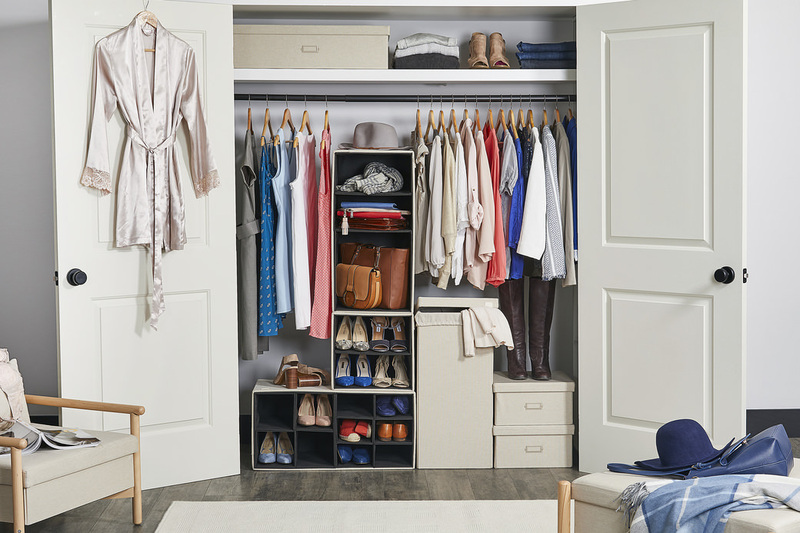 Ideal for organizing folded clothing items and linens.